The new AT&T Audience drama Condor is loosely based on James Grady’s novel Six Days of the Condor, which begat the beloved 1975 Robert Redford spy thriller Three Days of the Condor, a movie so determined not to bore its audience that it sliced the time frame of its source material in half. The idea of expanding the novel’s story so that it becomes fodder for an ongoing series would seem like a step in the wrong direction, but showrunners Jason Smilovic and Todd Katzberg make it work by getting the tone right. Although there are some borderline James Bond-ian scenarios designed to make you appreciate that the entire world could be in danger, the action and conversation are photographed to make them seem as if they could actually happen. 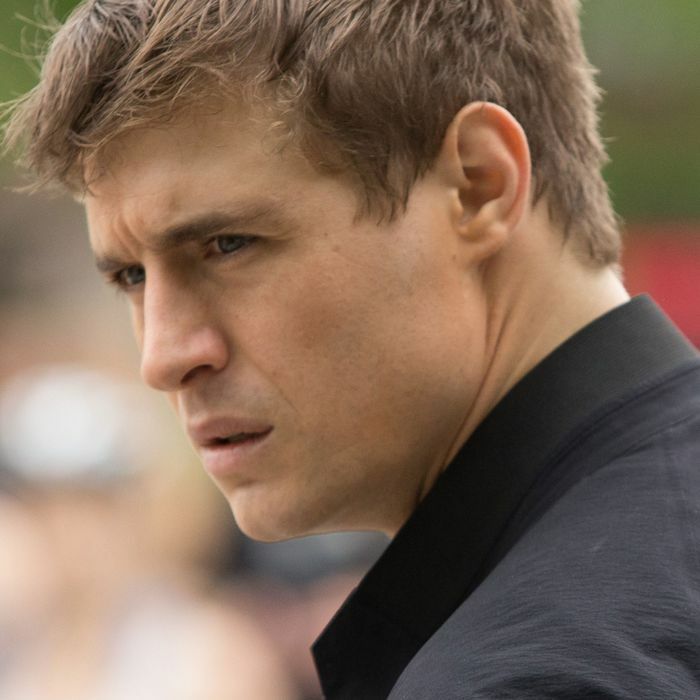 Max Irons plays Joe Turner, a talented young CIA analyst who stumbles onto a plot that has something to do with a deadly biological agent. Suffice to say that Joe finds out some things he shouldn’t and is forced to go on the run while he gets to the bottom of it all. (Having seen the first three episodes, I hesitate to describe too much of the plot, though I will say that viewers of the 1975 film won’t be surprised that the first episode ends where it does.) William Hurt plays Joe’s boss, Bob Partridge, a figure who reads as sinister only because we’ve seen Hurt play both tenderhearted nice guys and profoundly immoral people. Bob Balaban, Mira Sorvino, and Leem Lubany have supporting roles as intelligence operatives of varying influence and resourcefulness. Lubany is a standout as Gabrielle Joubert, playing the series’ most complex and hard-to-read character in a manner that illuminates her facets without handing you too much information right out of the gate. Brendan Fraser, who seems to be undergoing a career renaissance this year, has a scene-stealing part as a professional killer. Fraser has many years of experience using his broad shoulders, looming height, goofy smile, and sad Pekingese eyes to create characters who are simultaneously menacing and sympathetic, and this performance is another keeper in that vein. The result is something along the lines of Homeland with a touch of Tom Clancy: a workplace drama, essentially, in which bureaucrats, military personnel, analysts, and spies get tangled up in an international conspiracy. The end product lacks a certain verve — at certain points, you might start to miss the flamboyant ridiculousness of other spy stories — but there’s something to be said for a production that consistently, purposefully errs on the side of doing as little as it can to get its point across. As a production by a media platform that’s just now seriously entering the scripted drama business, Condor is an honorable effort, thoughtfully made even when it’s struggling to differentiate itself from similar projects that came before.